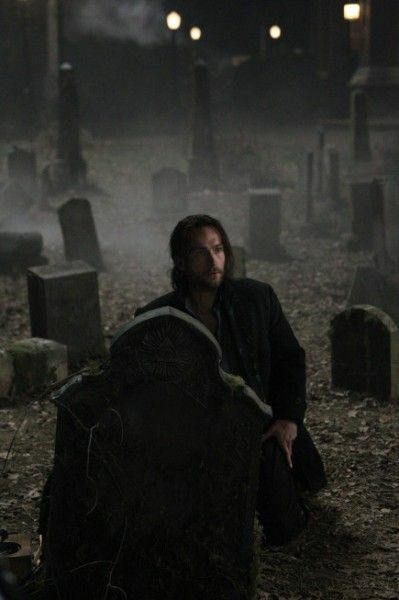 From co-creators/writers/executive producers Alex Kurtzman and Roberto Orci, the modern-day twist on Sleepy Hollow finds Ichabod Crane (Tom Mison) resurrected and pulled 250 years through time to unravel a mystery that dates all the way back to the Founding Fathers. Revived alongside Ichabod is the infamous Headless Horseman, who is on a murderous rampage in the present-day town. In a town that he no longer recognizes and grapples to understand, Ichabod teams up with Lt. Abbie Mills (Nicole Beharie), and the two embark on a mission to stop the evil that has awoken. During this recent interview to promote the premiere of the new Fox series, Alex Kurtzman and Roberto Orci talked about how the concept for the show came together, what excites them about re-imagining already recognizable stories, where they’re looking to go with the first season, making the mythology accessible to the average person, the multi-layered vibe of the show, how they decided on this version of Ichabod Crane, getting to work in different time periods, and the challenges they had in bringing this story to life for the small screen. Check out what they had to say after the jump, and be aware that there are some spoilers. How did you come up with the concept for this show? ROBERTO ORCI: Well, a young and very talented man named Phil Iscove, who at the time was an assistant at UTA, came in and said, “You know, I have this idea of doing a modern-day Sleepy Hollow, and maybe the way to get into modern-day is to fuse it with a lot of the ideas in Rip Van Winkle. The idea would be that Ichabod Crane was put to sleep in some way, and woke up 250 years after the Revolutionary War.” And we said, “Where do we sign up?” So from that point, we started developing it together, over the course of about eight months. When we pitched it to Fox, they jumped on it right away, which was great because that was really our hope. It just felt like the exact right network for the show. They have been wildly supportive since we started and it’s been this wonderful, crazy evolution to where we are now. When you look at projects like Hawaii Five-O, Star Trek, Spider-Man and now Sleepy Hollow, what excites you about re-imagining these already recognizable stories? ALEX KURTZMAN: Well, one thing is that so many of the stories that interest us tend to be timeless stories. They have existed and continued in different iterations over many generations because they say something enduring about the world that we live in and about who we are. Sleepy Hollow, particularly, was exciting to us because, speaking personally, Halloween is my favorite holiday. My house is basically like Halloween, 365 days a year, with my son. And so, the idea of getting to live in that kind of world and universe is just delicious, conceptually. Bob and I are really excited by the idea of getting to fuse the horror genre with a cop procedural, which is such a staple of television, and bring a new spin to it because we also get to tell much of our story in the past. And on top of the case-of-the-week, the solution to the modern-day story is to look to the past. The idea is that, if you don’t learn from the past, you’re doomed to repeat it. So, we get to do flashbacks. We get to tell stories over different centuries, and I think that anybody who loves genre would feel that delicious prospect. Where are you looking to go with the first season? KURTZMAN: Well, we hope viewers will have an enormous amount of fun, a lot of scares and a lot of humor. There is really nothing like it on television. We tell our stories in the present and in the past, so the story telling spans over 250 years. The other thing is that television is in this remarkable moment right now, with some of the best writing, some of the best acting and some of the best directing. It is really in this renaissance period. One of the shows that I’ve loved, in the last two years, is Homeland, and one of the many things that I’ve loved about it is that every episode single could’ve been the finale. It set a new standard in the way stories were being told, and I think we’ve embraced that fully. So, we have jumped into the deep end of the pool knowing that our premise is one molecule away from insanity, at all times. We are keeping it tethered to a grounded, emotional reality that hopefully allows you to buy into it and to really live in the world. We have a tremendous cast. They certainly make it as credible as you could have ever imagined. The directing has been phenomenal. The show is massive. The line between movies and television is gone these days. And so, when people watch TV, particularly genre shows like this, I think they are hoping for a real cinematic experience, and that is what we are intending to deliver to them, every week. Was it a conscience effort, on your part, to make this more accessible to the average person? ORCI: We want to have a rich mythology, but as we learn more, we are always looking for that great line between a show that you can step into at any time and catch up, while also being a full show that you can be rewarded for, for keeping track of it, and that builds upon itself. Finding that fine line is one of our ambitions in television, and this is certainly an attempt for us to walk a finer line than we have. But, we like rich mythologies and we like things to build, and we like the characters to have an emotional memory, but we are also dealing with a treasured short story. Some of the elements are familiar to audiences and allow us to anchor the show in something that audiences may already know about, so it’s potentially easier to follow without necessarily being less rich or less dense. KURTZMAN: Hopefully, viewers will be able to come to an episode, if they have missed one before – and of course they won’t have because they are going to watch every single episode – and they are going to be able to catch up very, very quickly. That’s the key. Each episode needs to have a closed-ended story, but the emotional storytelling is very serialized. The characters are carrying their experiences and building on their experiences, episode to episode. I think we invite people into our living rooms, every week, through the television because we have emotional connections to them, or they make us laugh or reflect some part of ourselves that we want to live in. So, the key is to give the audience that experience, but also to make sure that they are not lost in storytelling that is so heavily serialized that, if you miss an episode, you just can’t catch up. So, we are very consciously making sure that each episode is somewhat of a stand-alone and, if there is some serialized element to it, making sure that we reset the things that the audience needs to know at the top of the show, so that they can move forward from there. What would you say the vibe is for this show? KURTZMAN: Well, on the horror scale, there is sensationalist, grotesque horror, and there is suspense horror, and we fall more into the suspense horror element of it. But, it does have a sense of humor, like some of the best horror has. It definitely has a secret mystery, Da Vinci Code/National Treasure aspect to it, in that we are rewriting history, or at the very least seeing what the parallel history of certain events were. We like to revisit events that we all know, like Paul Revere’s famous ride warning that the British are coming, or the Boston tea party, or the massacre that ignited revolutionary fervor. Revisiting those events and finding out what was happening on the periphery of those things leads to modern-day discoveries. There is also an element of the treasure hunter element to it, but then you are also in a race against evil, and that’s where the horror element comes in. So, it’s a complicated soup of many tones. Hopefully, when it is working, all those tones are harmonizing. When you were developing this show, what were some of the darkest places that you guys allowed your imaginations to go to? KURTZMAN: That is an interesting question because, in our minds, there is a very big distinction between cable and network, in terms of what you can get away with, with violence and horror. In a weird way, it’s almost like the distinction between a straight slasher movie and a psychological horror movie. We’re not aiming to do a slasher movie. We’ve always held that line that we did not want to fully cross, in terms of horror and violence and going to dark places. For us, the thing that is more interesting than just dealing with demons is this apocalypse mythology that has become such a part of the show, and that is enormously fun, but is really looking more into the dark spaces of the characters and how these demons reflect their own personal demons. The bad guy in any good storytelling is always, in some weird way, a mirror for your hero’s journey and for the challenges that they are facing, and is some weird physical externalization of that fear that the character is holding onto and has to overcome. So, all of our monsters are emerging from that, in terms of what Abbie and Crane have to face in themselves. I think what you are going to find, over the course of the season, is that they are going to be battling their own personal demons and we are going to be finding out a lot of things about them that you may not know up front and that they may not be telling each other up front. Some of those places are darker, some of those places are lighter, and the fun for the audience is a guessing game of knowing which side is going to emerge. What is the actual setting for Sleepy Hollow and how does that play into the type of cases that Abbie (Nicole Beharie) will be investigating or working on? KURTZMAN: We wanted to make the town slightly bigger than the actual Sleepy Hollow, in terms of really looking at it from a place of treasure hunting. There are many, many secrets hidden beneath the surface of this perfect, quiet New England town. We didn’t want to go too small because we would’ve been limited in our options, and we didn’t want to go too big because it would’ve felt ultimately really false. ORCI: Actually, our population is 144,000, which has some relevance biblically. The idea is that, in the pilot and the series, you are watching a small town with small town problems become a small town with big city problems. So, it had to be just the right size to have a familiarity for the habitants with each other, but not everyone knows each other by name. So, it’s between a city and a town. When we’ve seen Ichabod Crane portrayed on television and in films, he’s usually tall, thin and a little cowardly. How did you decide on this version of Ichabod Crane (Tom Mison)? KURTZMAN: First and foremost, we literally love every iteration of Sleepy Hollow, but we didn’t want to do what had come before. The whole reason for us to do the show came in the fact that we were doing a modern-day version, even though we have a lot of our storytelling rooted in the past. And because that iteration of Ichabod has been done, we wanted to do a different version. He is a school teacher, so we did keep that, but he also fought in the Revolutionary War. So, in a weird way, it allowed us to have our cake and eat it too. He is definitely a more robust man-of-action than he was in the short story. But, I think you will find that we’ve tried to put a spin on every character that is familiar from the short story, and yet we found ways to make them different, as well. It felt like a more accessible way to play Ichabod now. What made you decide on this cast? ORCI: Because it is a famous short story, with only 17 pages, and it has never been done modern-day, we came to the conclusion that we wanted you to meet these characters as though you had never met them before and let them take you into this world without any previous association. So, it was nice to discover a couple of fresh faces, who have obviously built a fandom of their own, but who are not really as widely recognized in television. When you do that, you really get into their characters, in a way that you don’t, if you’ve seen them play something else that you were super familiar with before. In the case of Tom Mison, originally we were not necessarily going to go for an English actor, but when we met him and saw him read, we realized that actually, in the day of the Revolutionary War, many of the folks fighting for revolution and independence of this country may have been recently arrived from the UK. So, the idea that this man with an eloquent accent is actually one of the first Americans who fought and almost died for this country was fascinating. It’s a tricky part. It’s got to have a sense of humor, but it’s got to be smart. Ichabod Crane can’t just be going around marveling at every new thing that he sees. He’s got to play his cards close to his vest, so he doesn’t seem like he is totally out of time. He’s trying to fit in and he has the intelligence to do so and so, and Tom is great for that. With Nicole Beharie, you have a really strong woman. When you are playing a detective, particularly as a woman, you either are going to embrace the fact that it’s a man’s world you are jumping into, or you’re going to ignore it. 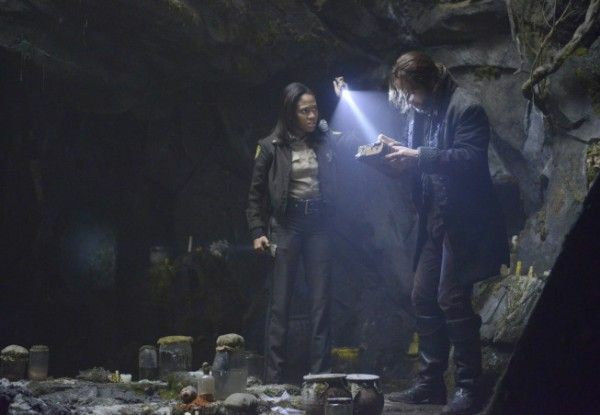 With Nicole, we are able to play the complexity of a little bit of an underdog, who is able to hold her own around her peers, and who, in meeting Ichabod Crane, has a sympathy and a connection to a guy who everyone else thinks is crazy because she, herself, has sometimes been an outsider. And yet, she is still able to keep a skepticism and a groundedness that is so key to the show. The show is attempting to portray some pretty nutty stuff, and Nicole brings an earthy point of view to it that allows you to see the thing through her eyes and enjoy it without letting yourself go nuts and without forgetting that. What were some of the initial challenges you found, in bringing this story to life for the small screen? KURTZMAN: The first challenge is that we tend to not think of the small screen as a small screen. We have tremendous ambition, and that’s why we were lucky to team of up with Len Wiseman, once again, who has now had experience on both the small screen and the big screen. Our ambition was the biggest problem because we wanted to make sure that we really set the tone of a cinematic, theatrical experience, every week. You see this thing and it looks like a movie. You want to set a template when you produce a pilot that is ambitious, but make it repeatable, visually. Len did a great job of marking some of the signatures of the show, like the way Ichabod Crane looks at the world. You choose different angles than you would choose, if you were shooting a modern person because we all take those things that we have seen for granted. All of those little queues are things that you might not be able to articulate without such an experienced director to articulate them to you. We really took the time to find those moments and to give the show a signature look and style. We are going for a lot. We have period, we have super-natural, we have action, and then we have modern-day. It’s a big thing to bite off, and you don’t want to skimp on any part of it, so you have to do a lot of planning in a short time. The small screen may not be the small screen anymore, but it is certainly a small schedule, and that is the thing that you always have to overcome, in terms of how many days you get to prep and how many days you get to shoot. You’ve got to really plan ahead. What do you enjoy about exploring the aspects of the story that are set in the past? ORCI: It’s very fun writing for period. It’s not something you get to do very often, in television. I think that there is such a robust, exciting and complicated backstory in the show. And you get to see Ichabod Crane, his wife Katrina and the Headless Horseman, who may not have always been headless, and all the different characters and what their lives were before modern-day. The premise of the show was that there was the Revolutionary War you read about in the history books, and then there was another secret war going on, the whole time, that nobody knew about. Truly, the show could just be that, if we wanted it to be, but I think we felt like it was really fun to use it as a touch point to what was happening now, and tether the past to the present, so that every time you have to solve a case or murder or kidnapping, or a weird anything, the key to it is looking to the past, which then provides you with these flashbacks. It’s difficult to decide which is more fun to write, the past or the present. I think that is what makes it great. KURTZMAN: With the past, you get to be a little bit more literary and just use different words than you’re used to using in modern verbiage. You put on a different hat and you are able to articulate different things, and you can’t rely on some of the gimmicks of modern storytelling, like a cell phone. People have to look each other in the eye, and there’s just a different flavor to the whole thing that is a nice exercise and a nice difference. How did ultimately make the jump from Ichabod Crane and Rip Van Winkle to the Four Horsemen? KURTZMAN: The minute you have a headless horseman, that seems like a rather ominous, powerful, and in our minds, biblical thing. 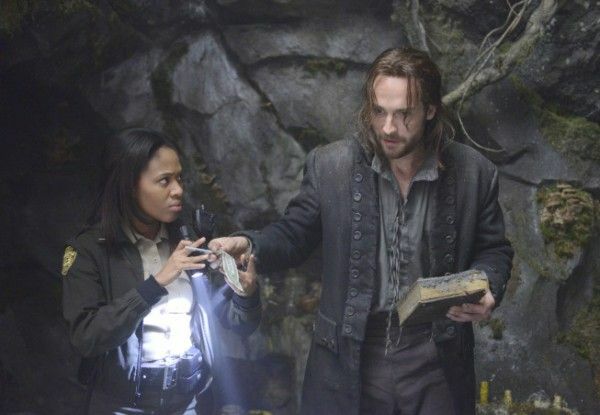 So, when we were imagining what the next chapter of Sleepy Hollow could be, not only in what happened in the past, but in waking up in the future, we thought, “What if the Headless Horseman got a little more connected than you ever imagined?” Actually, he is only one of the four horsemen of the Apocalypse, and it was through the connection of the antagonist of the original short story that we thought maybe that was the larger mythology that the original short story could have been embedded in, and we ran with it from there. ORCI: In an effort to say that we’re going to pay homage to these beloved characters, but also add our own spin on them so that they feel fresh, it led us to really ask questions about how we were going to present these people. So, whereas Ichabod Crane is described as a very bookish schoolteacher in the short story, the truth is that we’ve seen that version already many, many times. Obviously, Johnny Depp played his own version of that in the movie. So, to tip our hats to the short story, we made him a professor at Oxford. We put it through the same filter with the Horseman. The truth is, he is really only described as a spectrum who haunts the woods, in the short story. What’s interesting is that he is described as having lost his head from a cannonball. That led us to thinking about the war, and that led us to thinking about the premise of a secret war going on underneath it. One day, we were just sitting in a room and someone said, “Well, what if he was one of the Four Horsemen of the Apocalypse?” That really felt like, “Oh, my god, that’s absolutely what you don’t expect,” but somehow it was that click you always look for that feels exactly right and fits. KURTZMAN: And that allows the show not to be the Horseman chasing Ichabod Crane, every week. It enters you into the world’s myths and religions, and the cast of characters that populate these myths, as being on one side of good or evil, and saying that all of the world’s religions are potentially a shadow of the truth of a one world religion. We are going to be able to explore lots of different cultural myths through this, and not have it just be the Horsemen of the Apocalypse, every week. 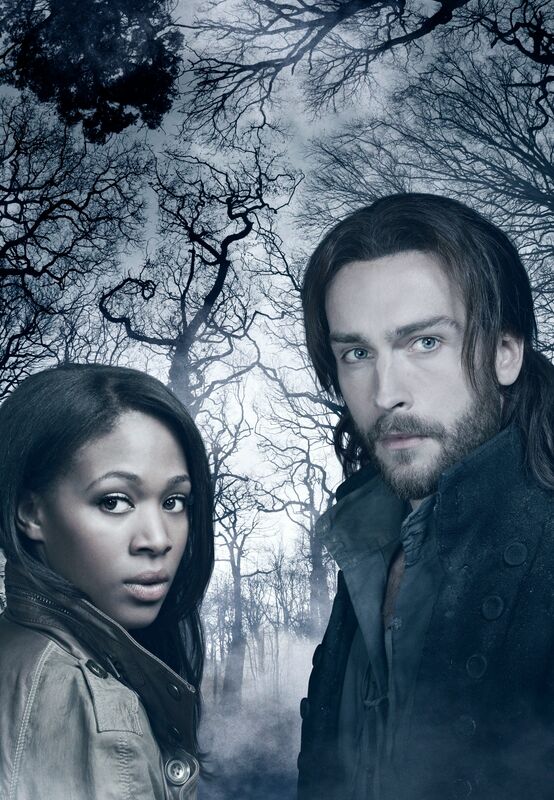 Sleepy Hollow airs on Monday nights on Fox.